Whether you need a complete Landscape Design plan for a new home or want to transform your existing landscape into a fresh and revitalized look, Outdoor Living Designs can help. Call 704-506-6708 for an appointment and let us get started designing a yard everyone will ENVY. Custom landscape Designs, Custom Outdoor Lighting Designs, Complete Installation of Designs (Grading,Hardscapes,Plantings, and much more...). Custom Paver or Natural Stone Patios and Walkways. Low Voltage landscape lighting design and installation. Custom Water Features and Fountains, Outdoor Fireplaces and Fire Pits,Retaining and/or Accent Walls (Block and/or Natural Stone). Stormwater Management : BMP Maintenance and Inspection. Subdivision & Commercial Entrance Signs. If you would like to donate to UNC Chapel Hill,click on our Contact page and follow the instructions. Check out the feature coverage of our display in the Site One Outddor Living Design Center. Checkout our display featured at the Site One Hardscapes Center/ Outdoor Living Design Center. Located at the Pineville, NC Location1625 E. Westinghouse Blvd.Charlotte, NC 28273. WOW! This stuff WORKS! 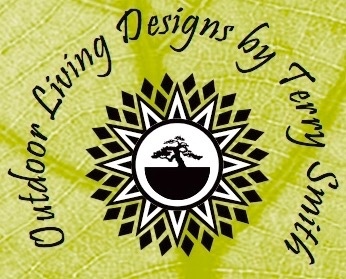 Outdoor Living Designs uses the numerous organic products provided by People's Choice Organics. Billy Styles ("America's Gardener" and owner) along with his staff are great at what they do... Help our plants and grass grow while helping to protect our environment. Checkout one of our commercials. Do you have Storm water Problems? Welcome to Outdoor Living Design Co.